Do you want to extend the knowledge and passion of independent bookstore into your own online community? Do you want to generate income through your website? If so, the Northshire Bookstore Affiliate Program is a productive way to achieve both; a great opportunity that is just one Online Enrollment away! How Does The Northshire Bookstore Affiliate Program Work? It is a simple and straightforward process. Once your application is approved, just log into your account and click on the affiliate center to generate the link to our website and copy and paste a block of HTML code into your website. (You can create a hyperlink to the product page for a book you are featuring on your website, or to the Northshire Bookstore home page. The choice is yours.) 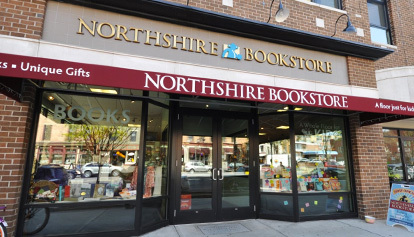 When a visitor to your website clicks on your Northshire Bookstore hyperlink, they will enter the Northshire Bookstore website, where they can order books, read interesting articles, get information about store events, and more. All books ordered directly by visitors that come to Northshire Bookstore by way of your website are tracked, so that you will receive a commission for each sale. The best part is that becoming an Affiliate of the Northshire Bookstore community costs you nothing! When you join the Northshire Bookstore Affiliate Program, you become a member of the community. 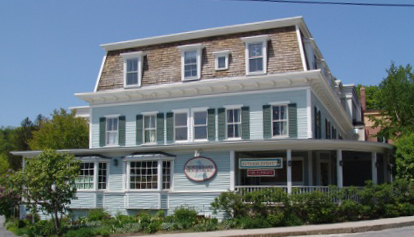 When a visitor from your website shops at Northshire Bookstore online, they experience the knowledge and passion of independent booksellers who share their love of books with their customers and their communities. They will also gain access to information and news about authors, store events, myriad recommendations, and access to a database of over five million titles. How Do I Join the Northshire Bookstore Affiliate Program? Anyone with a qualified website can become a Northshire Bookstore Affiliate. All you have to do is complete our easy Online Enrollment. Once you have submitted your application, you will receive an email notification of acceptance. Northshire Bookstore reserves both the right to decline your application and accept a re-application at future date. Before you complete our Online Enrollment, you must be a registered user of Northshire Bookstore . Once you have registered, take the time to read our Northshire Bookstore Affiliate Program Agreement. Once you have submitted your Online Enrollment and received an email notification of acceptance, just log into your account and click on the affiliate center to begin.